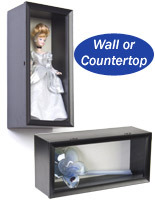 This tabletop doll case is designed to both showcase and protect collectible figures. 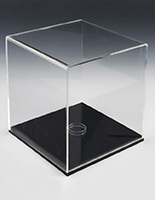 Each counter display is made from durable 1/8" thick clear acrylic and includes a black base for contrast. 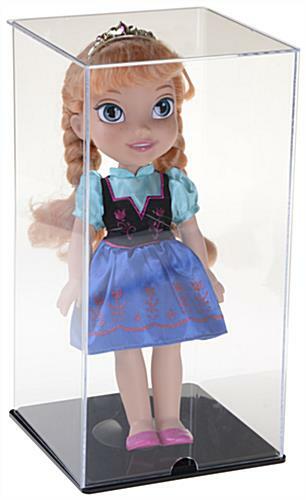 The lift-off top doll case will hold collectible or action figures up to 14" in height, and comes with a waist-hold stand for 1.5" to 2.25" widths. 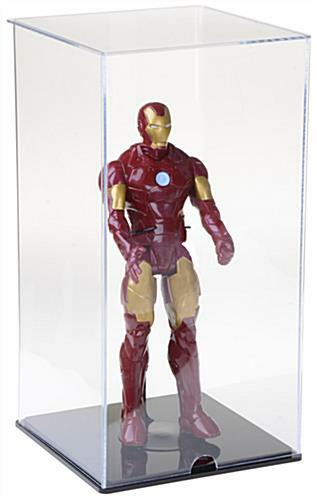 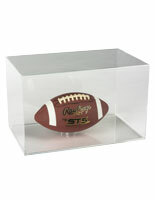 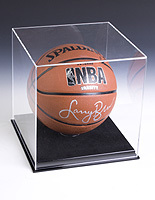 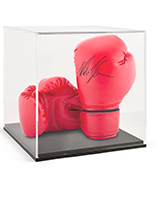 Each clear plastic holder will keep collectibles dust-free while on display. 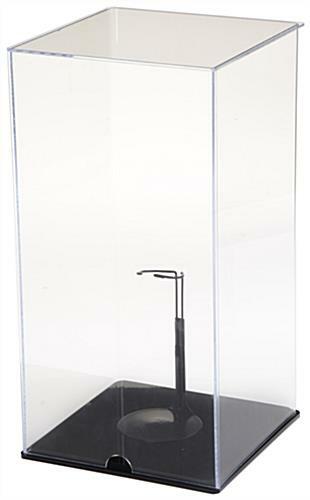 The protective doll case also comes with a VHB tape pad as well as rubber pads, in addition to the stand and black acrylic base. 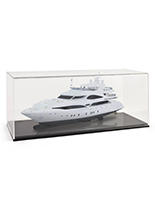 Each acrylic box includes an air flow hole and will hold figures up to 14" tall that are less than 7.5" wide, making it ideal for 1/6 or similar scale figurines. 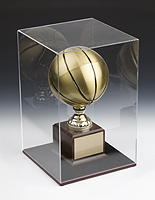 7.5" x 14.3" x 7.5"
7.5" x 9.4" x 7.5"
7.1" x 14.0" x 7.1"
7" x 14" x 7"